The Shanghai International Settlement was born in 1842 from the Treaty of Nanking after the First Opium War, opening Shanghai to British and international trade. Seizing this opportunity, the British formed a settlement on the river and, soon after, were joined by French, American, and European businesses. Eventually, the Shanghai International Settlement gained sovereignty from the Chinese government and established itself as a foreign enclave in central China. After the First Sino-Japanese War, which ended in 1895, Japan found itself among the international powers, and Japanese businesses soon joined in the enclave, attaining success in the region and coexisting between major British, French, and American companies. It remained that way until war broke out between Japan and China in 1937. 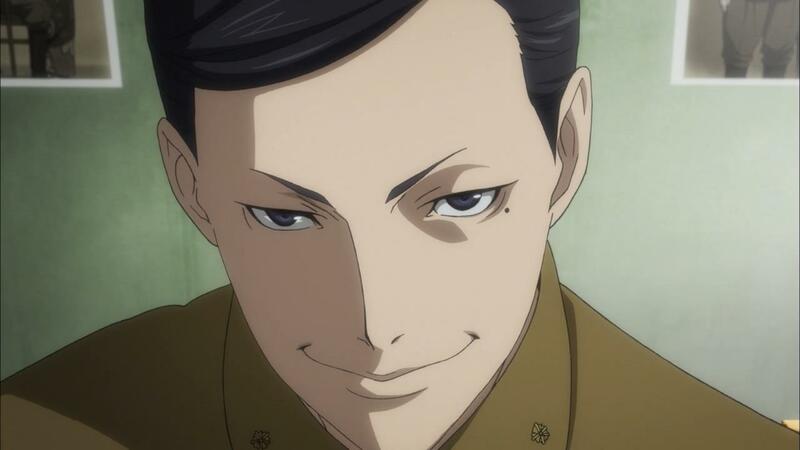 As we’ve seen throughout Joker Game, 1937 was a turning point for Japan as an empire and for D Agency as an entity. In the summer of 1937, fighting broke out in Japanese-occupied Beijing between the Chinese revolutionaries and the Imperial Japanese army. These skirmishes gave rise to greater Chinese confidence and soon lead to the Chinese attacking Japanese soldiers stationed in the Shanghai International Settlement in August 1937. The Battle for Shanghai lasted several months and was eventually won by the Japanese when reinforcements caused the Chinese revolutionaries to retreat. From that point on, Japan controlled Shanghai with its established military presence, but it did not control the international community in the heart of the city, the Shanghai International Settlement. Between 1937 and 1941, the Shanghai International Settlement existed as a tense multi-national society surrounded by an intimidating Imperial Japanese army. Given the circumstances, many Chinese citizens – as well as revolutionaries – fled to the Shanghai International Settlement as refugees, and it became a stronghold considering that they felt protected by British and American interests. With the Imperial Army omnipresent in Shanghai, fighting continued between the two sides in the form of little skirmishes throughout the city, sometimes even felling within the boundaries of the Settlement. And with that, we should have enough background and context to begin analyzing the episode. 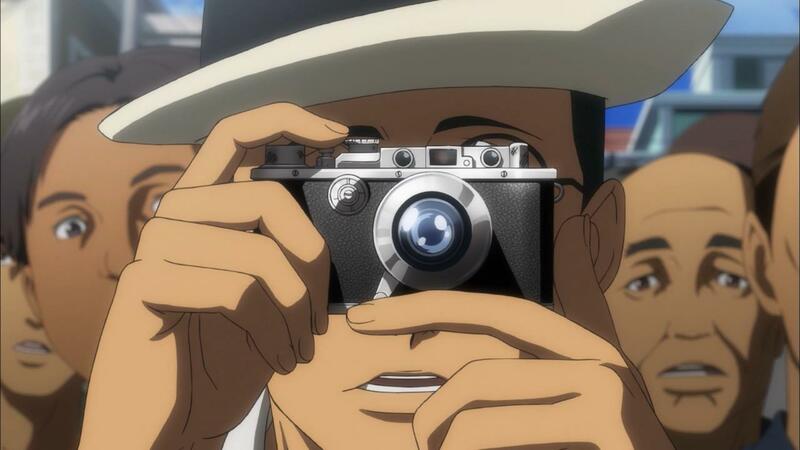 Given what occurred in the fourth episode of Joker Game, we can confirm what we just learned with what we just saw. A major theme throughout this episode was the anti-Japanese movement within Shanghai, with prime examples being the bombings and terrorism of suspected Chinese revolutionaries. 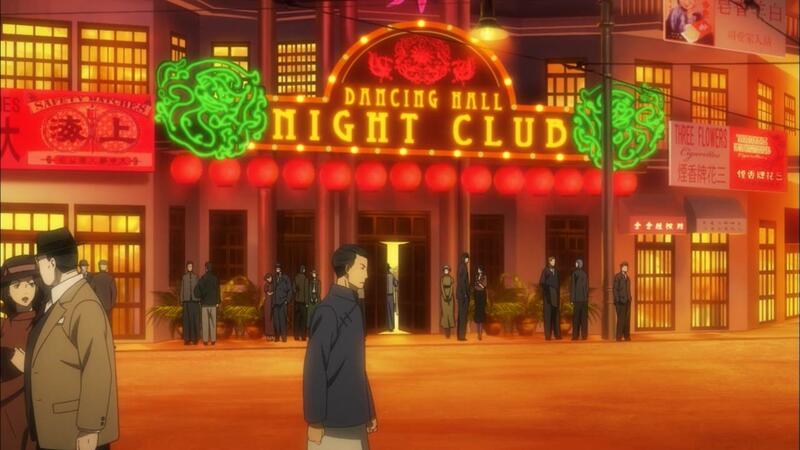 The fourth episode also demonstrated noteworthy Americanized and Westernized interests coexisting peacefully, though largely detached, with Japanese soldiers and Chinese citizens, such as the Dancing Hall Night Club and Inspector James. 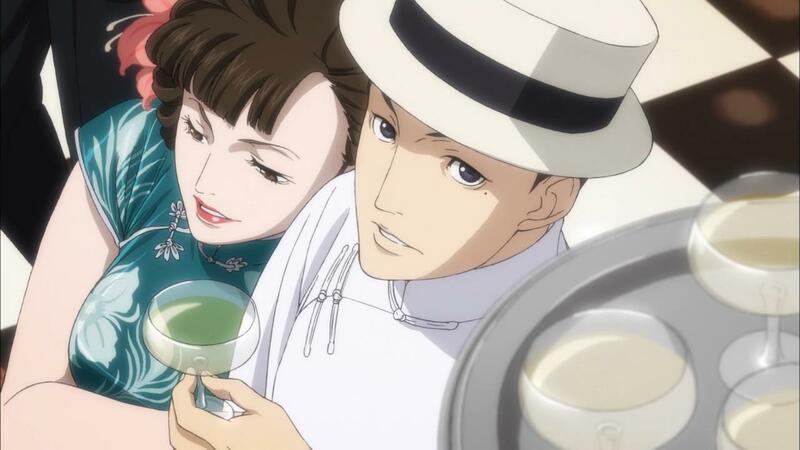 And despite playing such a minor role in the episode, we can better understand the context of the situation between Oikawa, Honma, and James given that the settlement was controlled by British and American interests, as well as why the Military Police was stationed outside the Shanghai International Settlement. And, of course, the Kosei Unit of the Military Police makes sense considering the extensive military presence in the region from the Imperial Army and why they would be located outside the Shanghai International Settlement, too. So, given what we’ve learned and what we can discern from the episode, a significant amount of care and detail went into the setting of this episode. But why go to such lengths to put this narrative and this story in this specific and defined setting? To me, the setting had an incredible influence on the story, showing parallels between the hedonistic pleasures of the Westernized enclave and the debauched Captain Oikawa. Or, in another way, it paired the anti-Japanese Settlement and the anti-Japanese Oikawa. The setting of the Shanghai International Settlement helped augment Oikawa’s corruption and unethical ways, involving him to sybaritic and selfish pleasures during a time of war and conflict. 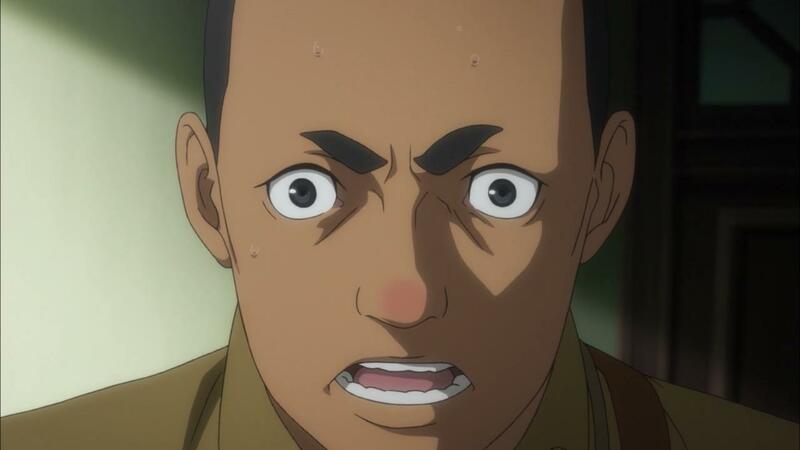 And though it wasn’t apparent at the time, Sargent Honma’s adventure through the dark back alleys and discovering the bright, dazzling dance hall was akin to Honma being lost in his case until discovering Oikawa’s secret (and for good measure, after Oikawa was arrested at the end of the episode, the hall’s lights were off – how’s that for symbolism??). As we’ve learned from previous episodes, these behaviors are very anti-Japanese, especially in the eyes of the Imperial Army. In fact, Oikawa’s laughter at the thought of his own suicide for his corruption was a hallmark to the first couple episodes. This fourth episode certainly reinforced the ongoing theme of squaring off the antiquated and stringent Japanese nationalism versus non-Japanese or anti-Japanese equivalences. 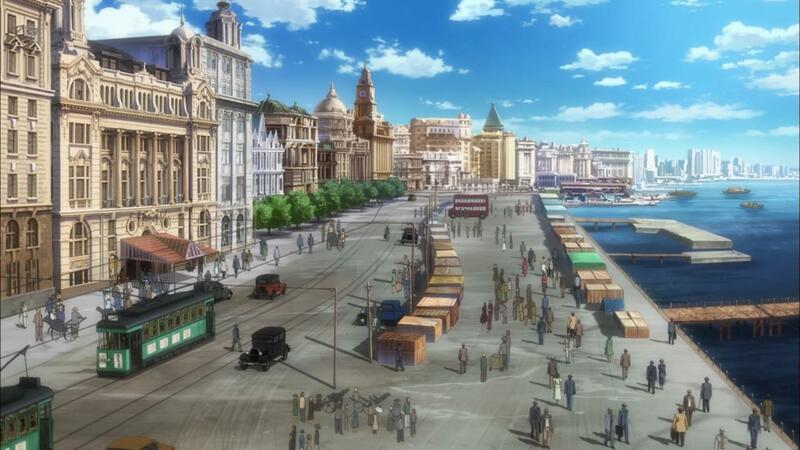 Pairing the self-indulgent Oikawa with this wealthy Westernized enclave was a brilliant move for this episode and helps reinforce the importance and symbolism of the setting in Joker Game. One of the other highlights about this episode is that the spy of the week, this time Fukumoto, was not the main character. 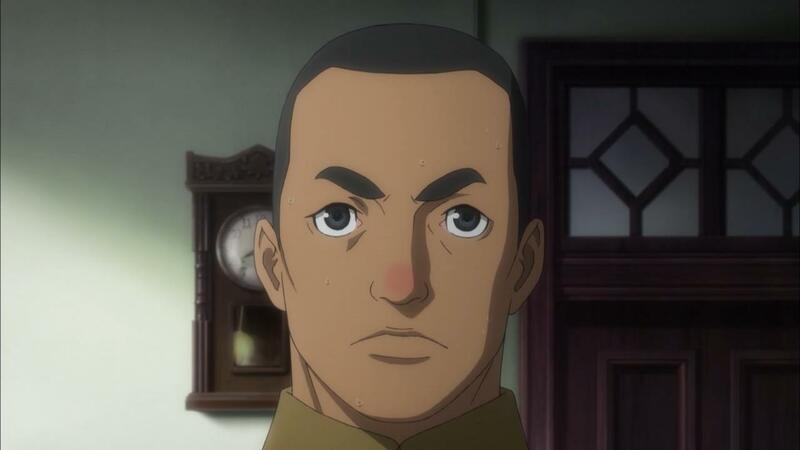 And yet, despite the minor role, Fukumoto played a central role in resolving the issue with the corrupt captain. 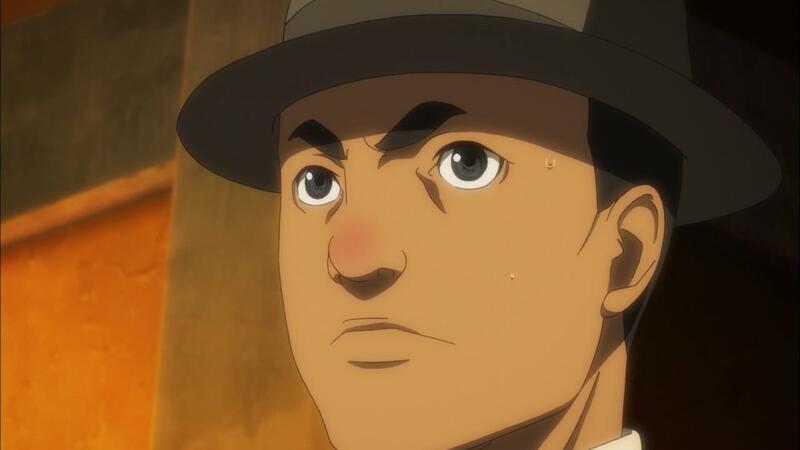 Fukumoto’s roles were very subtle and largely unnoticed to the episode’s main characters, but it showed just how influential and successful the spies of D Agency are. I always enjoy stories like these, where the perspective and perception changes, yet it still gets its message across effortlessly. This entry was posted on May 3, 2016, 12:50 AM and is filed under 2016 Spring, Anime. You can follow any responses to this entry through RSS 2.0. You can leave a response, or trackback from your own site. Thanks for sharing your thoughts on this episode. I’m not big on the political side of the story but I am enjoying this anime. 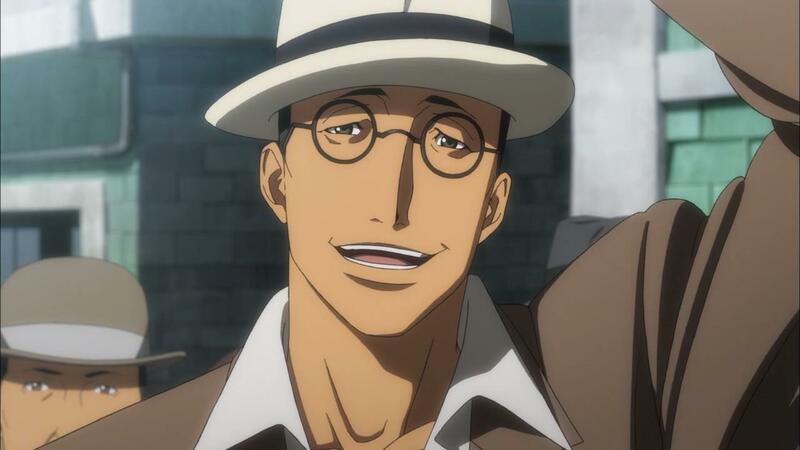 Glad to hear you’re enjoying Joker Game, too (or did, considering that it’s over now). The political aspects of this episode – and the series as a whole – have fascinated me, so I hope this post was able to share some of my knowledge about the subject with you and help enhance the episode with some foundation material. I agree. I think in order to handle the subject of espionage and WW2, there needs to be a certain degree of quality and respect that goes into its production and execution. 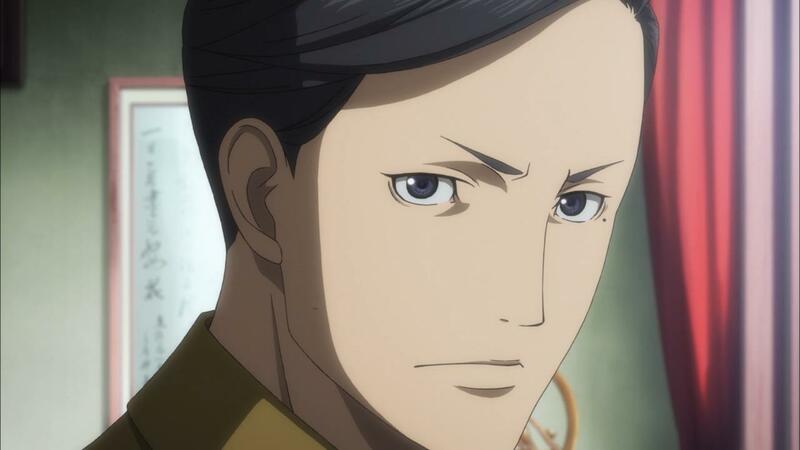 Joker Game certainly has those elements, which is why it feels so realistic and why it’s so enjoyable to watch! 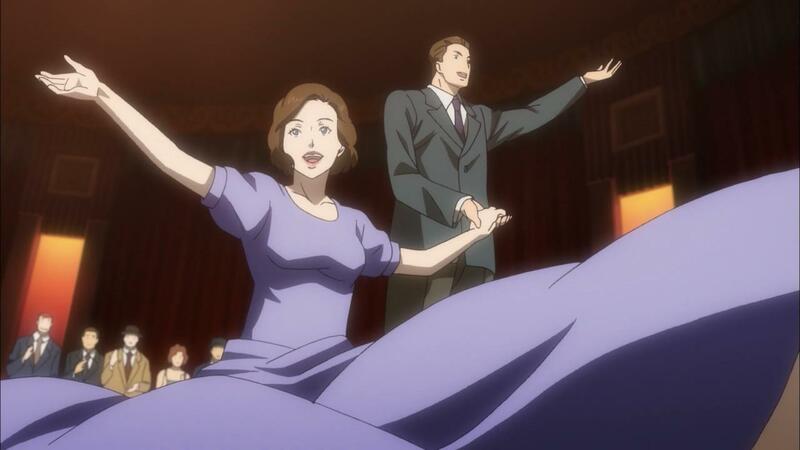 Honestly, I kinda find it hard to follow Joker Game’s settings and what’s happening in the background given that I have zero to none stock knowledge with war history. I can just barely remember that Japan allied with Germany and that’s that. On another note, are you perhaps on hiatus? Been a month since your last post :( I do find your episodic take or impressions a great read. 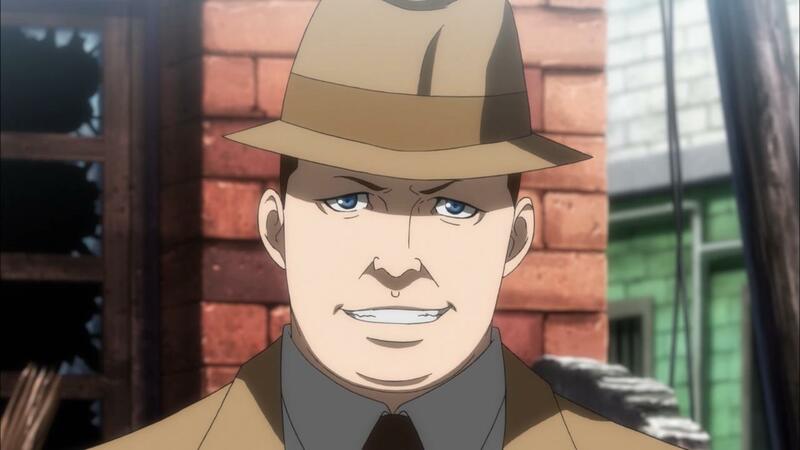 Yes, Joker Game does require a firm understanding of the political environment during the Second Sino-Japanese War and WW2, especially since the primary audience of this anime is Japan and their understanding, appreciation, and perspective is certainly different than in the West. Thankfully, I am a bit of a war buff, so I can recall many of these setting elements during each episode. And yes, I’ve been taking some time away from blogging in recent months. I hope to continue to be able to blog periodically, but I don’t really have the time anymore. Thank you very much for your kind words about enjoying my posts. I’m always grateful to hear that someone reads my blog, let alone likes reading it. I hope to get back into writing once the summer ends.